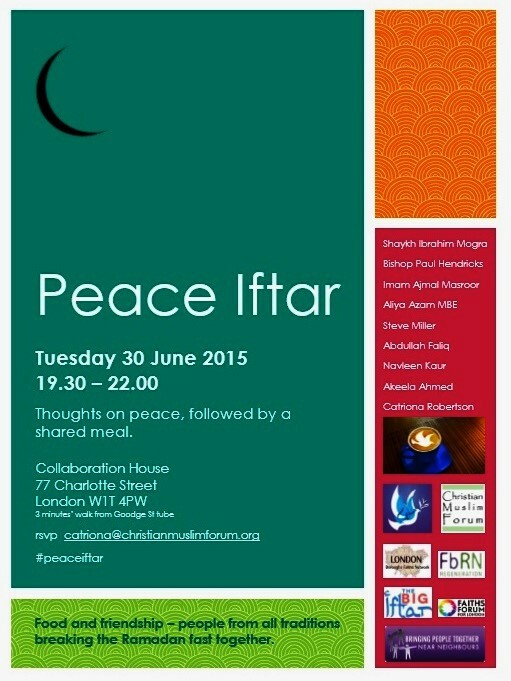 Enjoy an evening of friendship and food with people from different traditions at our special Peace Iftar on Tuesday 30 June at Collaboration House, 77 Charlotte St, London W1T 4PW. Download the flyer here. Read a description of the Ramadan fast in Britain here. ← Peace Pilgrimage starts out!